Moving to West Harlem can be a smart idea. It is a developing neighborhood with interesting things to see in its vicinity. But in order to move to West Harlem successfully, you need to get yourself informed about the neighborhood and you need to hire reliable West Harlem movers to help you out. As experienced Manhattan movers, we are here to give you a helping hand with all the information that you might require and all the moving services that you might need. West Harlem is a part of the Harlem neighborhood. Metro-North train line splits West Harlem form East Harlem. It is known as a big African-American center of business and culture. The landscape of West Harlem has changed over the years. The first settlers of Harlem were the native tribe called the Manhattans. The British burned Harlem to the ground during the American Revolution. After a long time of rebuilding, Harlem experienced its first economic boom after the American Civil War. The Great Depression hit Harlem hard and left 25% out of work. The bad working environment stayed form multiple decades. Harlem has always had a problem with low income and low educated people living in it. In the 1960’s most of the students were below average in math and reading. There was also a major problem with poverty. The improvement of the neighborhood started after the 1990’s and is still prevalent today. Today, West Harlem is an upcoming, diverse neighborhood. Although it is one of the most important African-American neighborhoods in the NYC, many ethnic groups share it. You will easily find affordable cuisines and experience many different cultures. There are many green areas to enjoy in West Harlem, as the city is continually improving the quality of life of its residents. Gentrification has helped in increasing the wealth and stability of the West Harlem residents. Harlem is changing. 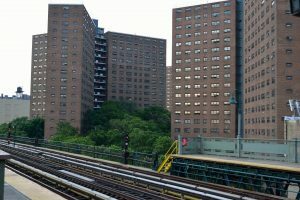 Recent improvements have increased West Harlem’s cost of living. The cost of housing in West Harlem 53% higher than the National average. Median household income is $3,852 per month. The cost of living in West Harlem is 20% higher than the NYC average. In order to make West Harlem your new home, you need to move there successfully. And to do that you will need to hire reliable movers to help you out. Here are some services we can provide you with as professional West Harlem movers. Wherever you may want to live in West Harlem, you will need professional movers to help you out. While packing can be properly done by an amateur with some online guides, we strongly suggest that you hire professionals. A lot of rookie mistakes can end up costing you a lot of money, and in order to avoid them, you should get professional assistance. Whatever packing equipment is needed, we will provide. We will also help you sort your possessions, as we think that moving unnecessary items is a bad business practice. Most of the moving accidents are caused by improper packing, and if you want to reduce your risks to a minimum be sure to give us a call. There is no one better to pack you than the people who will move you. If you let us take care of the packing and the moving you are making sure that the risk of mishandling is reduced to a minimum. Our company will provide you with all the affordable Manhattan moving services you require. Together we will figure out the best route and the best timing for your move. A happy customer is the best commercial, and a customer is happiest when they get the biggest bang for their buck. We will make sure that your move is cost-efficient and professionally executed. Apart from local moving, there are different services we can provide you with to make your move as easy as possible. There is a reason why we call ourselves Dynamic Movers NYC. Our team will figure out a moving plan for any circumstance that you might find yourself in. Whether you are moving long distances or moving a piano you should contact us in order to receive the best service and quality advice. We consider moving a serious project and would hate if you left in hands of an unprofessional moving company. 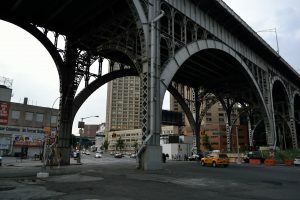 Once you know you want to move to West Harlem, you should invest some time in finding the right West Harlem movers. A moving company will either be your best friend or your worst enemy. Here are some tips on how to filter moving companies and find the one that is right for you. We are giving you this advice because we know that if you value professional service and cost-efficiency you will come to us. Competence is essential when looking for West Harlem movers. When you start looking for a moving company you should always search locally. You can check your local movers more easily and see how reliable they are. Make sure to ask around for people who have worked with them before. If you get positive reviews you will know that you are in good hands. It is hard to do that kind of check up if you only look online. The internet leaves a lot of room for altering reviews, and you can never be completely sure if a moving company is honest. How much is fair to pay for your move? Well, of course, you don’t know. In order to find out, we suggest that you get estimates from at least three West Harlem movers. That way you will have a clear idea of what is fair. We believe that an honest day’s work deserves an honest pay. Avoid dishonest movers at all cost. A moving scam can end up costing you a lot of money and time.